As you prepare your 2014 taxes, you may notice that the 2014 personal exemptions and standard deductions are higher than for 2013 filings. So are the dollar amounts that separate each tax rate bracket from the next highest. These amounts are adjusted upward each year for inflation, in a procedure called “tax indexing.” Tax indexing turns 30 this year. 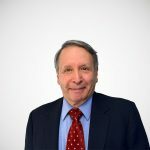 Tax indexing was enacted in the Economic Recovery Tax Act of 1981, and took effect for tax years 1985 and beyond, following three years of tax rate reduction. President Reagan highlighted the indexing feature of the tax plan in his address to the nation before the critical House vote on the bill. He explained that without the indexing, inflation would continue to force people into higher tax brackets, and would effectively repeal the tax cuts. With indexing, he could promise to get people’s taxes down and keep them down. Prior to tax indexing, the United States had experienced two bouts of double digit inflation between 1974 and 1981. As nominal incomes rose with inflation, the fixed-dollar personal exemptions and standard deductions protected less of a family’s income from tax. In addition, people fortunate enough to receive cost of living increases in their paychecks found their incomes rising through the tax brackets. This led to higher tax rates on any incremental income, such as overtime pay and eroded the real value of their after-tax incomes. The Congress raised the exempt amounts occasionally in that period, but not by enough, and it did little to offset the upward movement of income through the narrow tax brackets of the time, which had tax rates ranging from 20 percent at the lowest levels of taxable income to 70 percent on savings income for the highest-income earners (50 percent on wages and salaries). The government benefited from the inflation. Every ten percent rise in prices and wages generated a sixteen percent increase in income taxes as income spilled over into higher tax brackets. The extra six percent was a real tax increase due to the “bracket creep.” It gave the government a hidden tax increase every year without having to take a vote in Congress, or having the president sign a tax hike into law. This gave Washington an incentive to remain silent as the Federal Reserve pursued an inflationary monetary policy, forcing prices up by creating too much money and credit. The combination of inflation and the unindexed tax system was devastating for taxpayers and the economy. Rising tax rates reduced real take-home pay. It forced workers to demand higher-than-inflation pay hikes, which firms resisted because they could not pass the excess onto customers. The government was driving a rising tax wedge between workers and employers. Many strikes were called to demand higher pay and to oppose mandatory overtime, which fell into a worker’s highest tax rate bracket and did not pay as much, after taxes, as in years past. U.S. labor became less competitive in the global economy. Unemployment remained stubbornly high, and each new bout of money creation by the Federal Reserve to fight it just made prices and taxes rise further. Savers were hit hard by the inflation. Interest rates rose to match the inflation, but the higher nominal interest rates were subject to tax at higher and higher tax rates. After taxes, real inflation-adjusted interest rates became negative, and savers were actually losing money on their savings. The personal income tax indexing enacted in the 1981 tax bill preserved the rate cuts that had just been implemented and has gone on to protect wages and other income from spilling over into higher tax brackets due to inflation ever since. It prevents bracket creep unless an individual has experienced a real gain in income. It has kept U.S. labor more competitive in the world economy, and has made it safer and more rewarding to save. Importantly, it has taken away some of the government’s incentive to inflate. Not every feature of the income tax is inflation-proof. Capital gains are not adjusted for inflation, so during periods of high inflation people may owe taxes on inflated gains even if they have suffered real losses. The income levels at which Social Security benefits become taxable, and where the Affordable Care Act’s surtaxes on wages and investment earnings begin, are also not inflation indexed. Crucially for businesses, the deductions for the cost of plant, equipment, and buildings are not adjusted for inflation. The law requires businesses to stretch out their write-offs for investment spending over many years, instead of deducting the expenses as soon as they are made. This makes them vulnerable to a loss in real value from inflation and the time value of money, overstating business income and raising the effective tax rate on capital formation. These issues should also be addressed to more fully inflation-proof the tax system. Doing so would promote increased saving and capital formation, which would raise productivity, wages, and employment. Until then, we can be grateful that the personal exemptions, standard deductions, and tax brackets are adjusted to keep their real values steady as prices rise, so that taxes do not rise faster than prices. 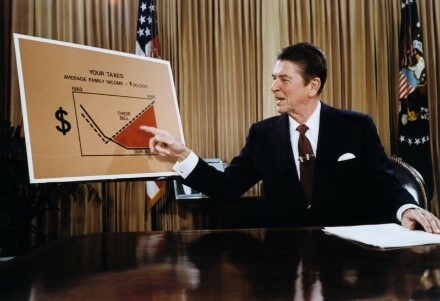 President Reagan explains tax indexing.